Beautiful color contrast and a pretty species. 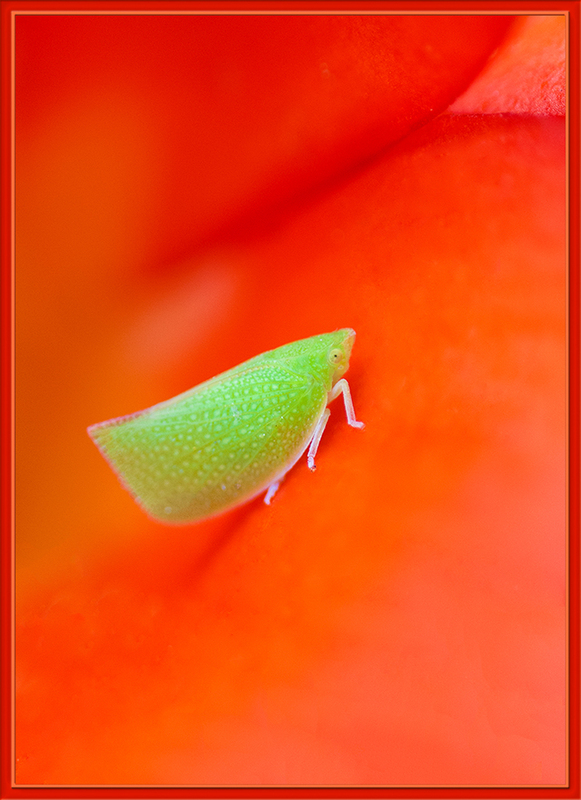 Green on red, beautiful minimalist comp., sharp Hopper; just wonderful. Love it! wouldn't give it up for anything!